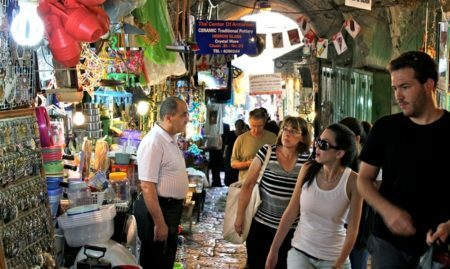 Once the hottest spot in Jerusalem, Emek Refaim Street has lost some of its fanfare to the nearby First Station and Derech Beit Lechem. 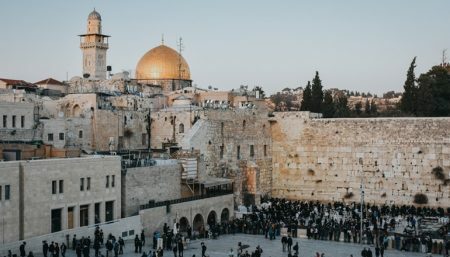 However, it’s still one of the most charming neighborhoods in the city and home to a pretty robust kosher dining scene. The kosher cousin of Focaccia Bar in downtown Jerusalem, Focaccia Moshava is one of the most underrated spots for a casual kosher meal in the city. The restaurant itself is downright charming and comfortable, the staff is friendly, and the meat-centric menu has a little something for everyone, from Mediterranean-inspired pasta dishes and salads, steaks, chicken and fish, hamburgers and of course, focaccias packed with flavorful toppings. As an added bonus, their business lunch menu is an amazing bargain, offering a starter, main course, drink and dessert for 50-100 NIS. A charming concept, Lechem V’od is part cafe, part bakery and part delicatessen-fromagerie. Head over and chat up the helpful staff for suggestions on what to buy and pair together — bread, French butter, spreads, jams, wines and more — and either take it back to your hotel, a park or take a seat on the patio and enjoy the fruits of your shopping. The atmosphere is very French, promoting a laissez faire, “enjoy the moment” attitude. Modern, elegant, charming and intimate, Pompidou offers one of the best all-around dining experiences on Emek Refaim and is the perfect spot for a romantic date. The delectable Italian and Greek-inspired menu is light and easy on the tastebuds, and every dish goes impeccably with a refreshing glass of wine. If a quaint local coffee house is your idea of a good time, then the Coffee Mill is your kind of place. The rich selection of coffee varieties is complemented by a light sweet and savory menu of sandwiches and cakes, cozy seating that’s also practical for getting some work done and a pleasant decor with original, alternative wall-hangings. If there’s one thing you should always do in Jerusalem, it’s stop and appreciate a great falafel place, and Doron Falafel is one of them. The falafel balls are big on flavor and short on greasiness; the pita and lafa are always super soft and fresh; and best of all, the salad choices change on an almost daily basis (outside the popular mainstays, of course), adding a little variety to a sometimes stagnant sandwich. As an added bonus, the service is always friendly and welcoming with a falafel ball dipped in tehina on the house when you walk in.